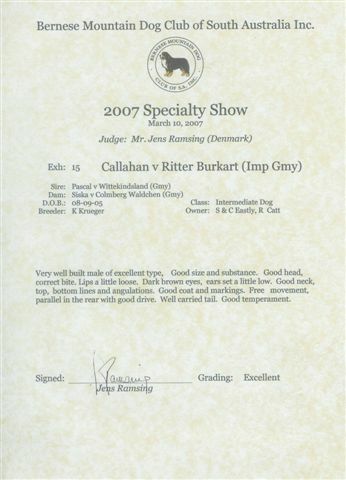 Callahan has performed very well in the ring since coming to us from breeder Kerstin Krueger. He also showed with success in Junior classes in Germany prior to his departure. Callahan is a Multi Best in Show, Multi RUBIS and RUBISS winner. 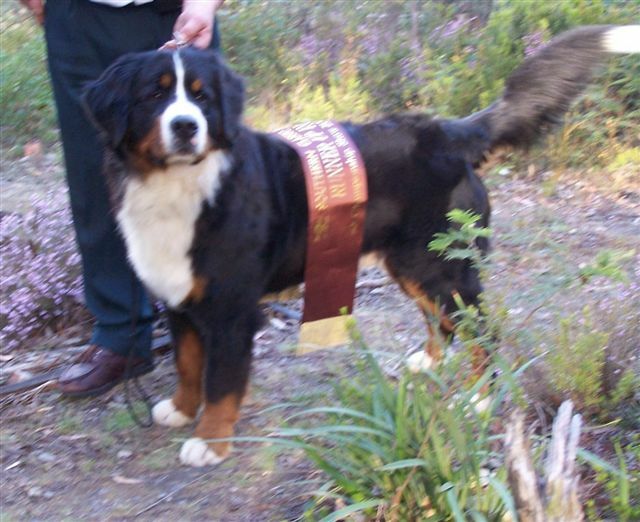 completing the points to become an Australian Grand Champion at just 3yrs of age. Also a finalist in the Tasmanian Contest of Champions. And finishing the year as Number #1 Allbreeds (DOL) in Tasmania. 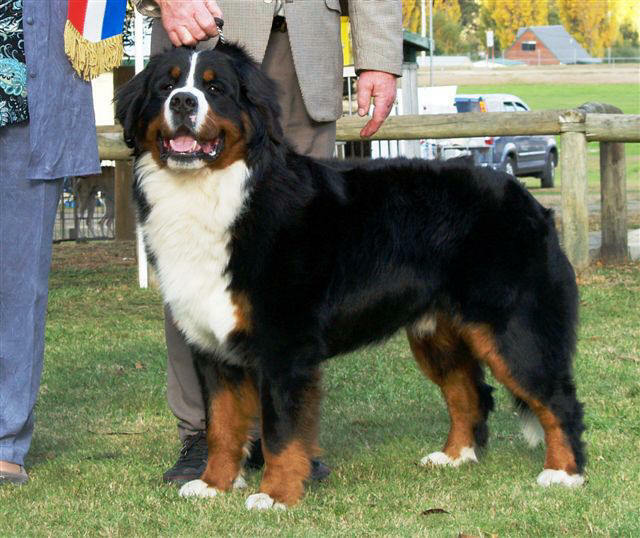 This is the first time an Australian Bernese has been #1 in an allbreeds competition. Along the way Callahan has taken 7 Best in Shows. 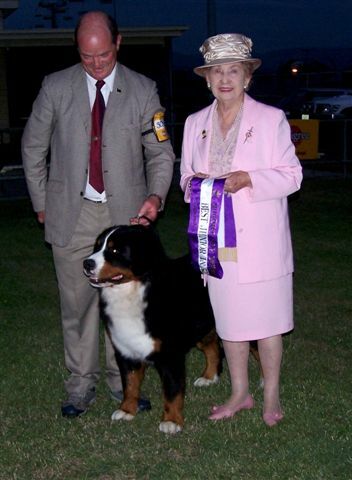 and also 7 x Runnerup in Show, and 31 x Best in Group and Challenge dog Melbourne Royal 2007.
who is already challenging her Dad at every show. 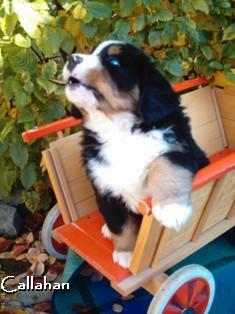 Many thanks to his breeder Kerstin Krueger in Germany.